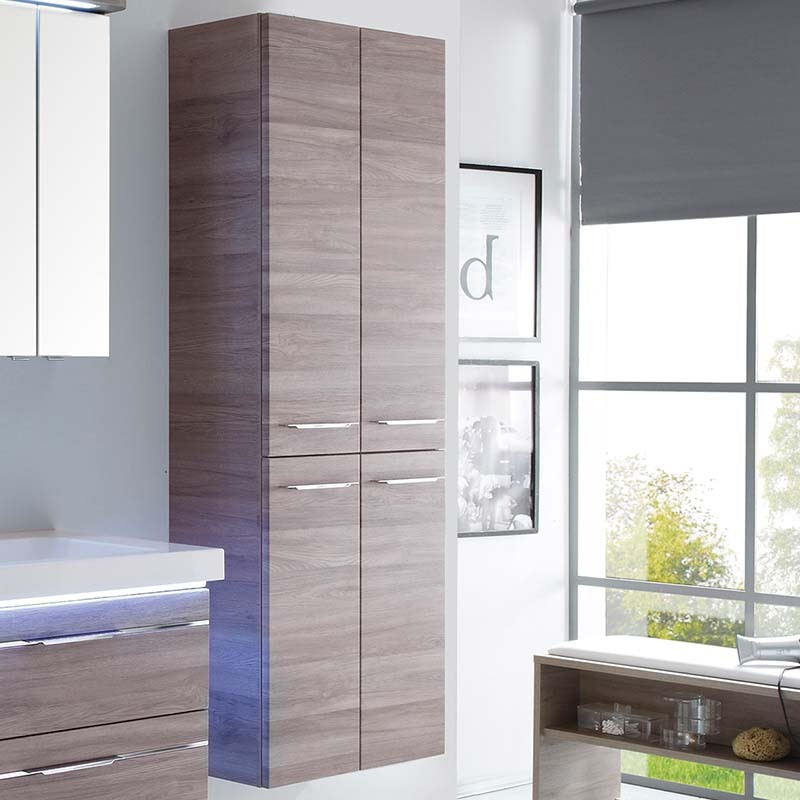 Make a stylish addition to your bathroom that offers the kind of function that you require with the Balto 4 Door Tall Boy Bathroom Storage Cabinet. Brought to you by Pelipal, this excellent item of bathroom furniture boasts four glass shelves for your ease of storage and has a non-porous and sealed finish. Crafted in Germany, the front and carcass of this cabinet are also available in a variety of colour options to match your particular decor.